2018 marks the 150th anniversary of the founding of RNIB. Since then, we’ve made a huge impact across all areas of society – from reading and access to information; health and social care to employment and education; to money, welfare reform and transport. 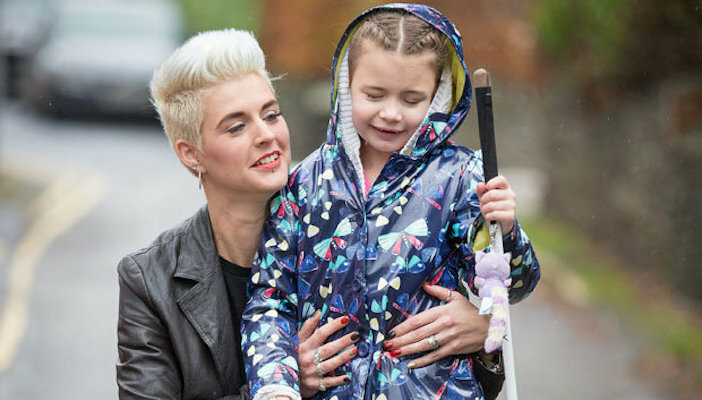 As we look to the future, we aim to continue transforming society, and lead in the creation of a world where there are no barriers for people with sight loss. Our story begins with Thomas Rhodes Armitage. Born in 1824, he became a physician, first practising in London and then in a Turkish hospital during the Crimean War. He was forced to abandon his medical career because of his deteriorating sight and eventually became blind. 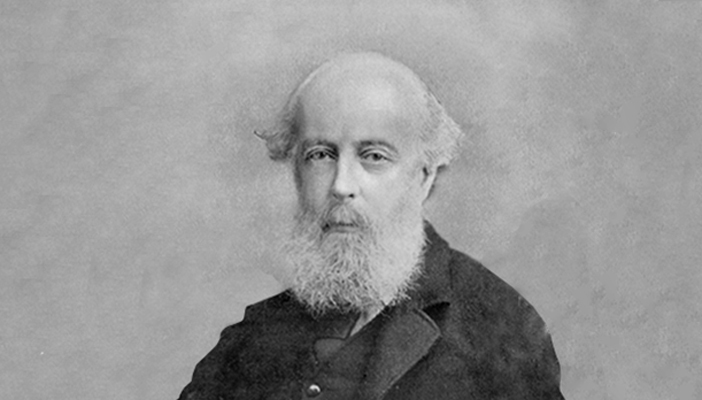 On 16 October 1868, Dr Armitage founded the British and Foreign Society for Improving the Embossed Literature of the Blind – the precursor to RNIB. 1870 – We adopt Louis Braille’s system as the best reading format for blind people, and in the following year publish the UK's first key to the braille alphabet and music notation. 1875 – Queen Victoria becomes our first patron, and on many occasions uses blind scribes provided by us to take down dictation. 1893 – We release the first dictionary of braille contractions. 1914 – Our name changes to The National Institute for the Blind, or NIB. Did you know that... in the mid 19th century, few blind people had any formal education and most had to beg in the streets or rely on their relatives for food and shelter. Early employment opportunities for blind people were often limited to making baskets, brushes and mattresses. The end of the First World War brought many changes. Thousands of servicemen returned with devastating injuries, including blindness. Many charities, including NIB, responded to their needs by creating new services. 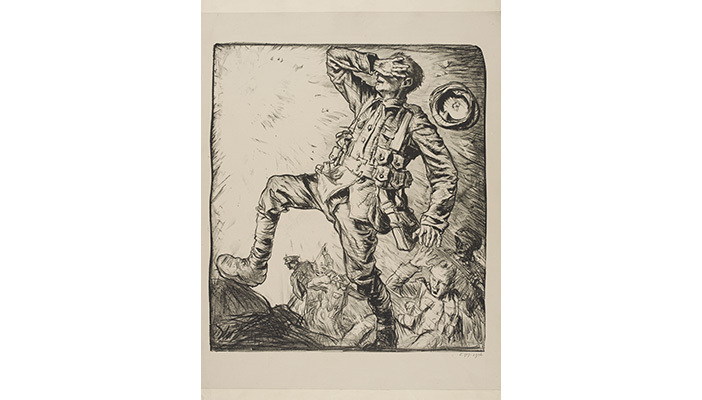 1915 – NIB establishes St Dunstan's, a charity dedicated to caring for soldiers blinded in war. 1918 – We open a rehabilitation centre for disabled servicemen, along with a home for blind children called the Sunshine Home for Blind Babies. 1934 – NIB and St Dunstan's form the Sound Recording Committee. The Committee is tasked with exploring new technology to help blind people and is chaired by Sir Ian Fraser, an officer who had been blinded in action during the war. 1935 – Talking Books are launched to provide access to books for blind people. The Sound Recording Committee decide on gramophone records as the best format for Talking Books, and the first titles are sent out. 1937 – We build the first dedicated Talking Books recording studio. Did you know that... Agatha Christie’s The Murder of Roger Ackroyd was one of the first three Talking Books to be recorded. The other two were Joseph Conrad’s Typhoon and The Story of San Michele by Axel Munthe. In 1949, we received the Royal Charter, and in the following decades we continued to expand our reading services. 1952 – Her Majesty Queen Elizabeth II becomes our Patron. 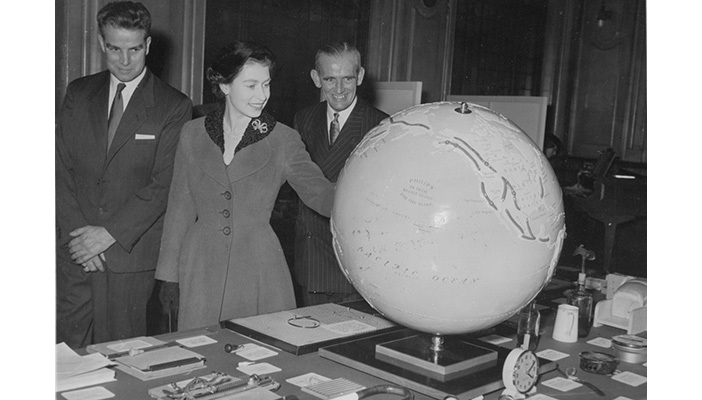 1953 – Our name officially changes to the Royal National Institute for the Blind (RNIB). 1966 – Our National Library Service launches titles in large print. 1968 – The computer production of braille is introduced. 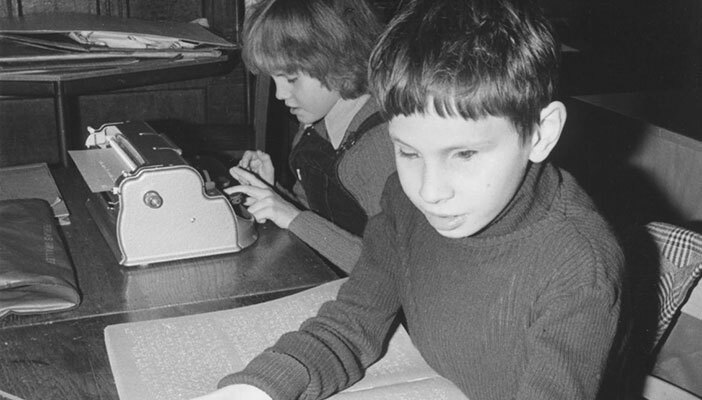 1970 – RNIB produces the first Talking Newspaper using a high-speed copier. Did you know that... after vaccinations for measles and rubella became routine in the UK in the late 1960s, fewer babies were born blind or with limited sight. The 1980s and beyond saw RNIB make a crucial impact by campaigning for legislation and social policies that benefitted people with sight loss. As new technology developed, so did our innovations. 1984 – The government introduces the Personal Reader Service, administered by RNIB, to provide blind workers with money to pay for readers to help them keep abreast of their work. 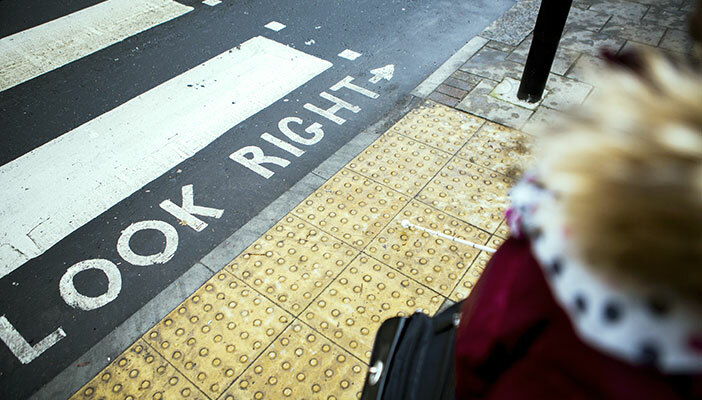 1987 – Tactile paving is introduced at pedestrian crossings after campaigning by RNIB. 1991 – Our campaigns persuade political parties to produce their manifestos in braille and audio. We also succeed in persuading BT, and eventually other utilities, to introduce bills in large print and braille. 1992 – Thanks to RNIB’s leadership of the Disability Consortium and the evidence from the first RNIB Needs Survey, the Disability Living Allowance is introduced by the government for blind people of working age. 1993 – We launch the first portable, lightweight, battery-operated Talking Book machine. 1998 – The RNIB Helpline is launched, providing information, advice and support to people living with sight loss over the phone. 1999 – Free eye tests for the over 60s in England are introduced thanks to campaigning by RNIB. Did you know that... as the World Wide Web started to grow, RNIB was at the forefront of the development of web accessibility standards. This made it easier for users of assistive technology to get online information. In 2002, RNIB became a membership organisation and we changed our name to the Royal National Institute of the Blind rather than “for the Blind”. 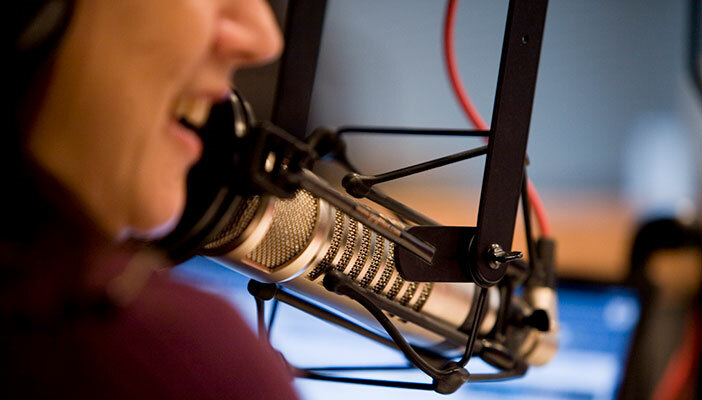 2003 – RNIB launches Europe’s first radio station for blind and partially sighted people, VIP On Air, based in Glasgow. In 2007 this award-winning station becomes Insight Radio, and in 2016 it is renamed RNIB Connect Radio. 2005 – We partner with Pure Digital to bring the first talking DAB digital radio to the market. 2007 – Our campaign for audio description (AD) means that one in three UK cinemas and 11.5 million households with Sky or cable can get audio described film and TV programmes. 2008 – RNIB modifies its name, adding People to the title i.e. Royal National Institute of Blind People, and adopts a new logo and the strapline “supporting blind and partially sighted people”. 2010 – Our campaign for people with severe visual impairment to be able to get the higher rate of the mobility component of Disability Living Allowance is successful. 2010 – We help introduce Eye Clinic Liaison Officers (ECLOs) for people at the point they are diagnosed, making it easier for them to get the support and services they need and to maintain their independence. Did you know that... the new polymer £10 and £5 notes have a tactile feature to enable people with sight loss to easily recognise them. RNIB worked with the Bank of England to ensure the inclusion of this feature, and also provided advice on the colours, contrast and sizing of the notes. 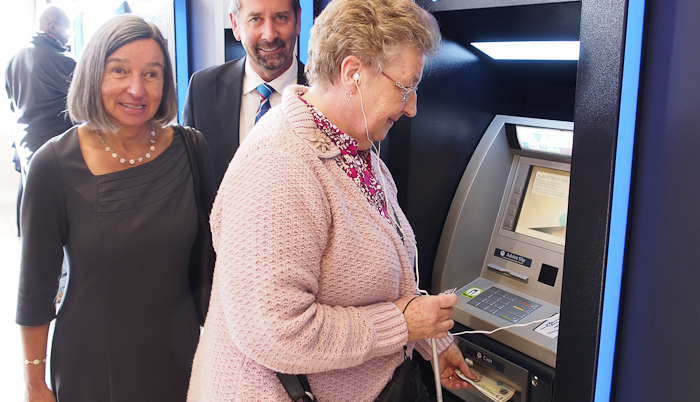 2012 – Barclays bank becomes the first to introduce voice assistance on over 90 per cent of its ATMs, thanks to RNIB's campaign. They are soon followed by Nationwide Building Society, Lloyds Banking Group and The Cooperative Bank. 2015 – RNIB’s Talking Books service becomes free of charge for people with sight loss to mark its 80th anniversary. 2016 – We launch RNIB Connect to enable people with sight loss to meet others with similar experiences and share information, advice and guidance, both face-to-face and online. 2016 – The NHS Accessible Information Standard comes into force in England following years of campaigning by RNIB, meaning that all information such as appointment reminders and test results must be provided to patients’ in their preferred accessible format. 2016 – Following work with RNIB, Samsung launches the first smart TV range with an accessible user interface. 2018 – Campaigning by RNIB contributes to the government pausing controversial shared space schemes over fears they are “dangerous and difficult to navigate” for people with sight loss. 2018 – RNIB marks 150 years and launches a new, more accessible logo and strapline: “See differently”, developed with input from the sight loss community. Find out more about RNIB's history and read personal stories that many of you have shared to help us celebrate our 150th anniversary. With your support, we can continue to create a society without barriers for blind and partially sighted people. Please donate today.